Is this podium chargeable? We need a cordless podium/av system for an outdoor event. BEST ANSWER: No, the lectern must be connected to an external power source. Also, it’s not intended for outdoor use. However, with an extended cord and protection from the elements it will probably work OK but repeated exposure will likely lead to premature failure. No, this Podium is not chargeable. It must be plugged into a wall. I suggest using a Hisonic HS120B for this, if you are able to. I don't think so, it needs ac power. No, you have to plug it in. BEST ANSWER: I used the ones that were included, but it's totally removable and connects via a standard 3 pin connector, so I don't see why you couldn't swap them out. Yes, both the light and mic use an XLR connector in the lectern base. They can be removed if not needed. Both are removable/replaceable. Both have a standard XLR connection. Can this be connected to a sound system? If you mean can you add more speakers to this, yes it can. It can also connect to the pre-out (the mic plug) to send sound to your auditorium system. You may need to clarify your question. Can you use the built-in mic as well as the XLR input and the RCA input at the same time? all at different levels? 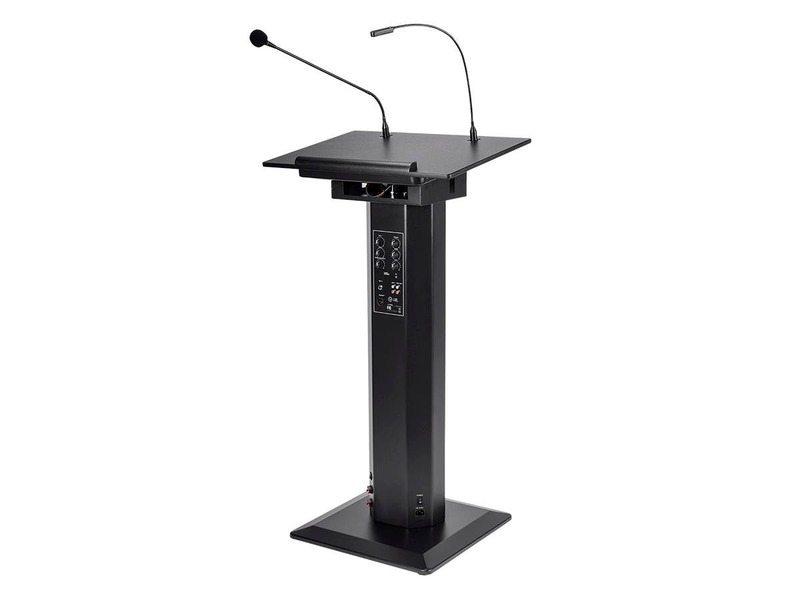 BEST ANSWER: Thanks for your interest in our powered lectern. Yes you can run all inputs simultaneously. 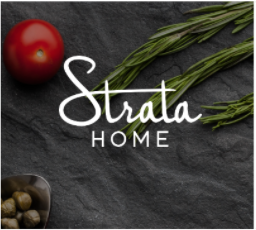 The built in mic, 1/4", and RCA all have independent volume controls. Yes, customer here and you can. 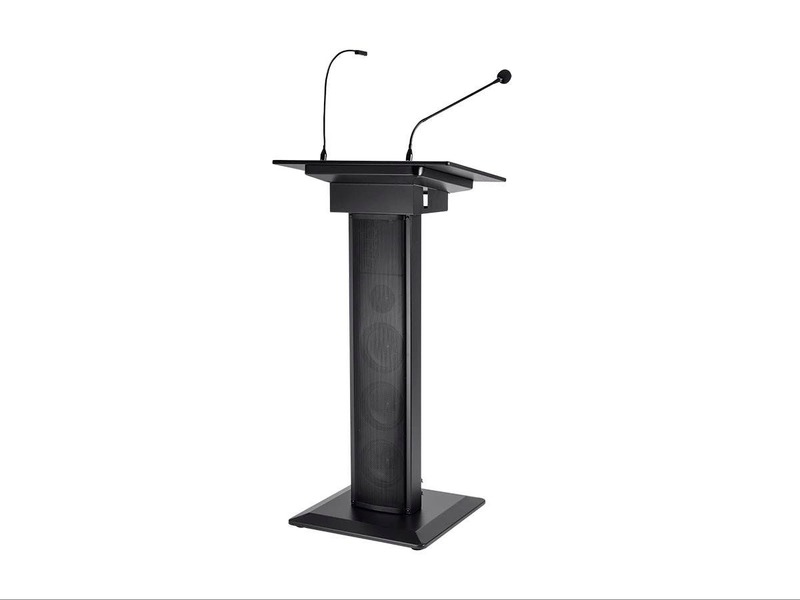 I'm looking for a lectern just like this that I can transport easily to various conferences and events so it wouldn't just be permanently installed anywhere. Is it durable enough for this type of use? How much does it weigh? What is the material it's mainly constructed with (Wood, metal, plastic)? Does it come assembled? 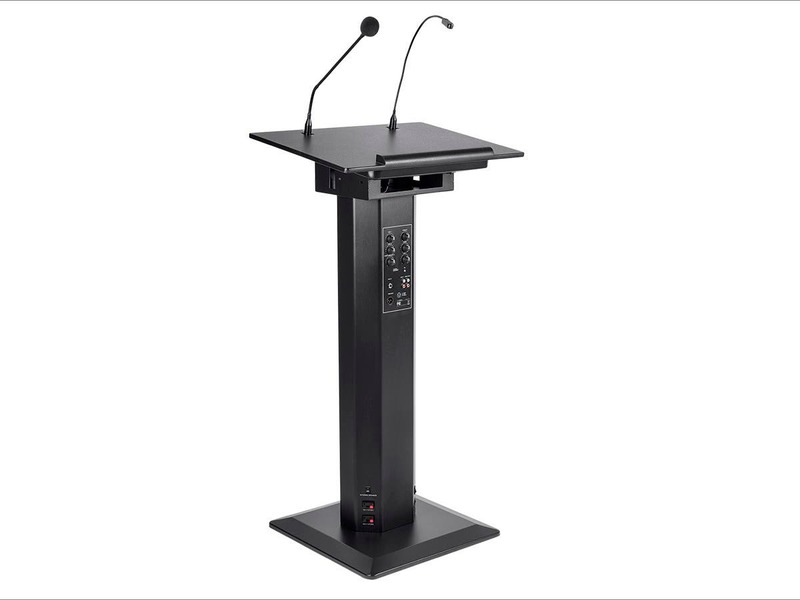 BEST ANSWER: Thanks for your interest in our powered lectern. 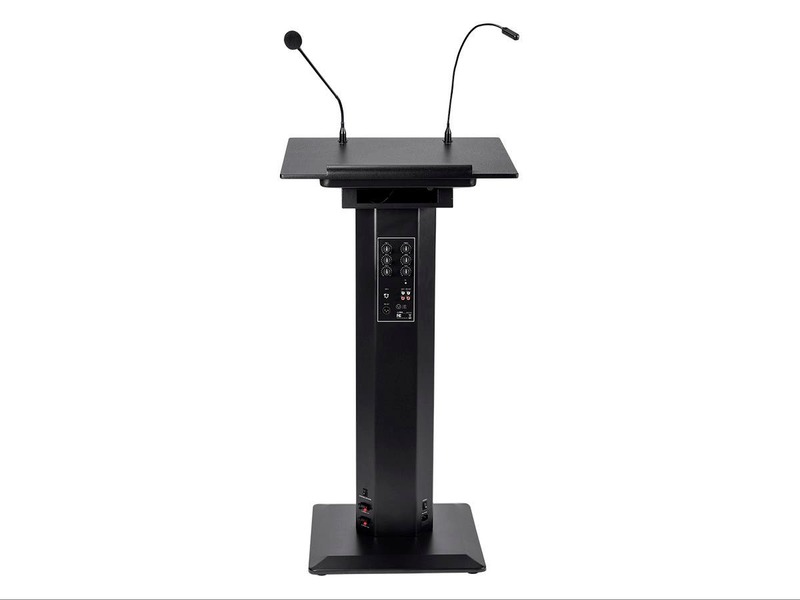 This lectern can be used as a portable unit. 65 lbs is not exactly light but it is well made. All parts are metal except for the top which is wood. It does need to be assembled. A customer in the reviews said it only took 15 minutes. Customer here, it's totally portable. It's EXTREMELY well built. Is this lecturn blue tooth compatible? BEST ANSWER: You can plug in a receiver into the 1/4" dynamic microphone input (mic 2 input). I bought a wireless microphone (karaoke microphone) so the speaker could easilywalk around the stage. Thank you for the answer William. 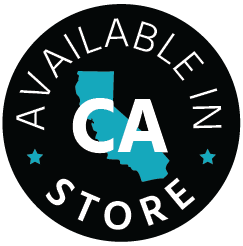 Do you have specs on the wireless microphone that you purchased? Will you be carrying a 3-pin Female 91 MC3F Adapter for the 3-pin Male 91 MC3M Jack? BEST ANSWER: Our cable team does not have any immediate plans to carry this cable but it is common enough to get through other sources. Can you tell me the location of the balanced XLR output? Is it at the base of the unit? Also, just to be sure, can I output the signal from that output to my current 70v system? I assume I would not use phantom power as I imagine that is supplied by the lectern? BEST ANSWER: The XLR output is about halfway down the post. You should be able to output the signal to your 70v system so long your system has the correct inputs. And you are correct you would not need to use phantom power. 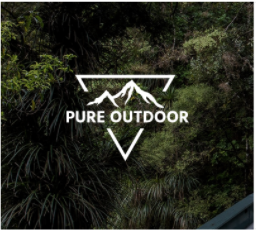 Can you use the audio system in this podium outside with no electrical outlet to plug into? Also, how much does it weigh for traveling purposes? BEST ANSWER: This system requires AC power, there is no internal battery. Shipping weight is about 65 lbs. BEST ANSWER: This system is made of steel. It is all black. Can't beat it for the price. Our AV tech was amazed at what it offered for the price and sturdy as well. The only improvement would be wheels to make it easier to move. Good looking unit. It arrived quick, easy to assemble, heavier than expected - but good quality. The only negative was the speaker came across sounding a little tinny. Wish list for future models would include wheels, or a wheels option package to help move the unit easier. This is amazing. At this price point I can't find anything even close to this product. The mic is fine for my needs. I use this in my classroom and for big events. My school doesn't have speakers in the classroom so this was a perfect fit because I will be moving to a new class next year. The sound is great, the build is sturdy, and the knobs allow for the best quality sound (you can adjust bass and treble). I know this podium is for colleges and such, but the product feels extremely sturdy. The unit is sturdy and delivers a fairly clear sound quality. 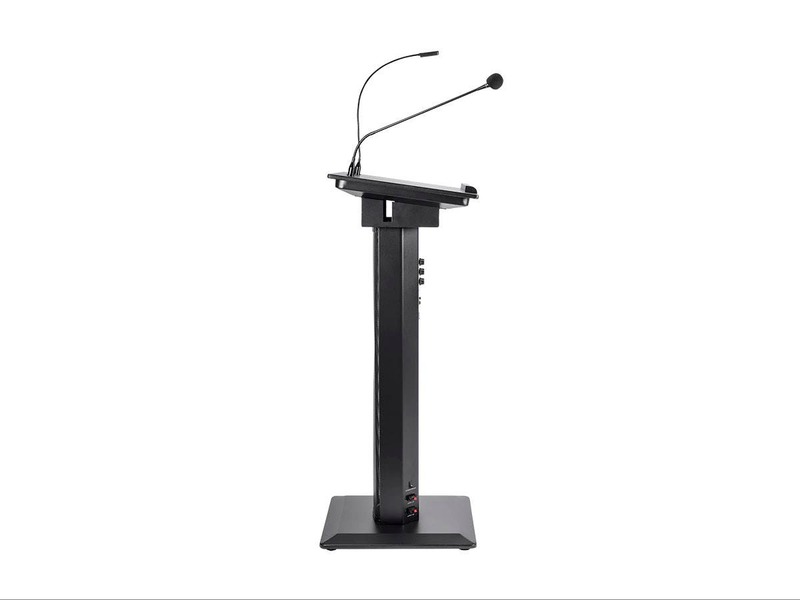 The provided mic is very, very LIVE and picks up impact thumps on the lectern at high volumes, but by changin out the mic we were able to take care of this. Overall a very good buy. I just got this unit, it was easy to assemble and everything works when i tested it. It provides a good solution for a small room so that speakers don't need to raise their voice too much. 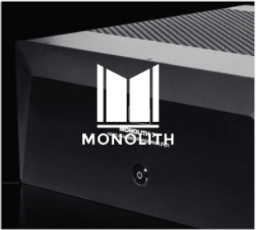 It provides the right set of inputs for a unit of its type, and it has space below the podium surface for a wireless microphone receiver including an extra mic input and a power outlet. If it does not break it will be a great unit for our training room. My only complaint is that the goose neck on the microphone is mostly solid and it would be hard to have a laptop in the podium and be able to use the mic properly, i'm looking for a more flexible mic to solve that issue. Picked up one of these for meeting spaces where I didn't need a full audio setup. This works surprisingly well and puts out a lot of sound. I was able to easily add a wireless microphone and the system has just enough controls to adjust what is needed, but simple enough for anyone to operate. Built solidly too. The RCA inputs for an ipod is perfect, and the XLR line level output is a nice bonus for when I may be recording video, or adding a second speaker for a bit more reinforcement. Cardioid gooseneck I had which helped quite a bit. 100+ person rooms are no problem. Just drop it off, plug it in and you are good to go. 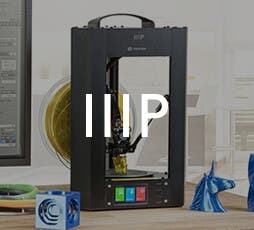 Definitely worth much more than what MonoPrice is charging for it. I'm the technical director for a college. I have requested a $3000 wooden lectern with lots of bells and whistles, projector control, mini-computer, etc. I couldn't wait for that one, so I bought this on a whim. I assembled it in 15 minutes. I've used it for the last two days at an awards ceremony for a play festival - 500 teenagers and their families. I only used the built-in speakers. It was clear and loud. I'm quite pleased. The LED light is just fine. The microphone would be better if it was more adjustable. I've not used any other inputs or outputs, although I plan to add a wireless microphone receiver and an aux input playing music from a phone or computer when I have a moment. If this really continues to work, it's going to save me a TON of time setting up for lectures and speaking events in my theatre.